There are 83 award categories covering a comprehensive range of leisure travel services and experiences - 39 categories are graded by size. To recognise the success of SMEs, a number of categories are graded by size where independent verification is possible. To provide a level playing field in this category, vote weighting will be applied in each size group based upon CAA passenger numbers. Overall winner is the most prestigious accolade in these categories and reflect the achievements of SME’s who were previously only recognised within the confines of their size grading. Details of size grading can be found by selecting the above award sector tabs. A company’s size is not displayed on the voting form and voters can only vote for one company/brand in each category. Companies are divided into the size group submitted on their nomination form when the results are analysed. A list of nominee companies - together with their size where appropriate - will be published on the BTA Trade & Media News Zone. 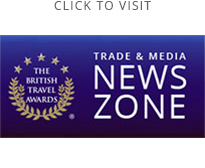 The British Travel Awards has no affiliation with any travel media or travel industry stakeholders. The awards programme is financed by the registration fees of participating companies. This independence makes winning a British Travel Award the most prized travel industry accolade. The registration fee is £150 plus VAT per brand/per category and must be paid by 14th June 2019 to guarantee inclusion on the consumer voting form. Any company who has registered for inclusion but not paid their registration fee by 14th June will automatically be excluded. When a company applies for listing in a size graded category they will now be required to disclose the overall number of passengers, retail outlets, bookings or turnover as defined by the category. This should be the overall figure for the company/brand and NOT related to the individual award category(s) entered. Companies who fail to disclose this figure at the time of registration will be sent a reminder with their direct voting app url email. If this information is not forthcoming the company/brand will be considered "large" or determined by the British Travel Awards. This number will be published next to the nominee in each of their elected categories on the Trade & Media Zone website until 14th June 2019. Companies can appeal the published figures of competing companies up to 14th June 2019. Any appeal must be accompanied by independent evidence supporting the appeal that can be verified by the British Travel Awards and/or Deloitte. Any appeals received after 14th June 2019 will not be considered. The British Travel Awards reserve the right to withdraw any category(s) in the unlikely event they are under subscribed when registrations close 31st May. In this event, any paid category registration fee will be refunded in full. You can go directly to the nomination application form - which includes a simple awards category listing - by clicking the link below. However, we strongly advise checking the awards of interest by selecting the category tabs above from where you can also link to the application form.